Treble winner, German Manager of the Year, FIFA World Coach of the Year – but forced into retirement to make way for a younger man. That was the fate of Jupp Heynckes, the man who lead Bayern Munich in the Club’s most successful season In Bundesliga history, but who had to give way to former Barcelona coach Pep Guardiola. Succession planning is never easy, and especially not in the ultra-competitive world of professional sport. In Part 1 of this series we considered the challenge of replacing the retiring Sir Alex Ferguson, the man who had run Manchester United so successfully for 26 years. Ferguson’s retirement had been a constant discussion point since 2002, but once made, the decision was kept under wraps until two weeks before the 2012-13 season ended. His successor, David Moyes, had only weeks to transition to one of the biggest jobs in world football, and failed to do so. The succession story at United’s German counterparts, Bayern Munich, followed a very different path. Financially, the Bavarian Club is one of the healthiest and best-run in the world. But in a club where results trump sentiment and failure to deliver brings swift reprisals, coaches have a short tenure. Since 1945 Bayern has appointed 38 coaches in their search for success, each lasting an average of 1.8 years. Sixteen of those changes occurred in the time Sir Alex was at United’s helm. In most cases they did not have a ready replacement, but called on the old guard – former players or coaches – to step in while they searched for a new manager. But in 2012 they had a longer-term succession plan. Guardiola handed the Barcelona reigns over to his assistant, Tito Vilanova, and moved to New York to distance himself from the many European clubs clamouring to speak to him. He did, however, send a message to Bayern Chairman Karlheinz Rummenigge that he would be open to discussions about a future move to Munich. Secret discussions continued through the latter stages of 2012. Bayern’s executives agreed that the 41-year Guardiola presented a unique opportunity for the club. He the most sought-after coach in the world, and would enable them to undertake a generational shift from the 67-year old Heynckes. But they also saw in Guardiola a man who could finally bring Bayern the sort of global adoration enjoyed by clubs like Barcelona, Real Madrid and Manchester United. It was a unique opportunity, and one Bayern could not pass up. The challenge was in what they would do with their incumbent coach, who was even then leading the club to the most successful season in its history. 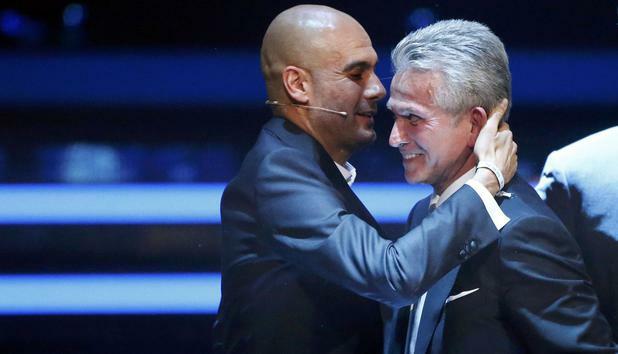 On 16 January 2013 Club Executives announced that Josef ‘Jupp’ Heynckes had decided to retire at the end of the current season, and would be replaced by Josep ‘Pep’ Guardiola at the end of the season. In the autumn of 2012 Bayern’s Executives promised Heynckes they would discuss an extension to his contract after the winter break. His team had finished runner-up in all three major competitions in 2011-12, won the season-opening DFL-Supercup, set a Bundesliga record for eight consecutive wins at the start of the 2012-13 season, and had wrapped up the unofficial Herbstmeisterschaft (autumn championship) with three rounds to play. Heynckes, a prolific striker and World Cup winner in the 1970s, had become the Bundesliga’s youngest coach in 1979, and his 26 year management career spanned nine clubs, in which he delivered innovation and a fair share of domestic and European trophies to clubs like Borussia Mönchengladbach, Real Madrid and Schalke. From 1987-91 he coached Bayern to four titles, but was fired after a poor start to the 1991-92 season (“My biggest mistake,” later admitted Bayern President, Uli Hoeneß, who watched on as Bayern sank to its lowest finish in their Bundesliga history). After spells in Spain, Portugal and Germany, Heynckes retired in 2007, but re-joined Bayern as Caretaker Coach for the final five matches of the 2008-09 season, helping the club secure qualification to the Champions League. Two further successful seasons at Bayer Leverkusen convinced Bayern that he still had something to offer, and he was given a two year contract, making him the oldest coach in the Bundesliga. With further records beckoning, Heynckes was shocked when Hoeneß came to see him on 16 December 2012 with the news that the Club had been secretly negotiating with Pep Guardiola to bring the Spaniard to the Allianz Arena in July 2013. Heynckes was offered the opportunity of retiring ‘voluntarily’, and was given his pick of jobs within the Club afterwards. Similar to the United Board, the Säbnerstrasse Executives had concerns that an early announcement could make the incumbent manager a ‘lame duck’, and that the decision would derail the Bavarians’ excellent start to the season. They assured Heynckes he retained full control of the coaching duties until his retirement, and that they would do everything they could to help him succeed. Club captain Philip Lahm and senior players also rallied around, insisting the name Guardiola had no meaning to them until 1 July. And so he did. Bayern stormed to a 23rd Bundesliga title with a record six weeks to spare, defeated Dortmund for a 5th Champions League crown and then overwhelmed Stuttgart for their 16th DFB Pokal and the first-ever German treble. The Bavarians endured only one loss all season, achieved their biggest winning margin, highest goals scored, and lowest conceded, among many other benchmarks. Heynckes was subsequently recognised as German Manager of the Year and FIFA World Coach of the Year for his efforts. While Heynckes was wrapping up his final season as coach, Guardiola deliberately kept out of the way in New York. But his obsessive nature ensured he was already planning how to take a near perfect team and raise it to another level. Despite his success at Barcelona, Bayern were taking a calculated risk in hiring him. Guardiola knew Barcelona intimately, having come through the Catalan club’s youth system, playing in the first team for 12 years (five as Captain) and earning his coaching stripes with the Barcelona B team. He learned his skills as part of Johan Cruyff’s ‘Dream Team’ in the early 1990s, and many of his players were part of the same Spanish national set-up as he was. This would not be the case in Germany, where he was a foreigner and would be introducing a completely different style of play to that of his predecessor. The little foreign experience Guardiola had obtained – as a player in Italy, the Middle East and Mexico – had been brief and unremarkable. His post-Barcelona playing career had been geared towards playing under specific coaches from whom he wanted to learn in preparation for his own coaching career. In the same way he now set about learning all he could about his new team, analysing each match and getting to know his new squad of players. He requested only three of his own staff, preferring to work with the good people Bayern already had in place. And he hired a full time German tutor to help him master the new language. To the surprise and delight of Bayern fans, Guardiola addressed his first media conference in Munich in fluent German, with appropriate Munich idiom! “Guten Tag, Grüß Gott,” he told the 250 assembled journalists and then proceeded to conduct the entire question and answer session in the new language. David Moyes won his first competitive match at Manchester United (2-0 over Wigan Athletic in the 2013 Charity Shield) and then commenced a losing streak which saw the Mancunians fail to qualify for Europe for the first time since English clubs were readmitted in 1996. By contrast, Bayern Munich’s new man lost his opening match, the 2013 German Super Cup (2-4 against Dortmund), and the team stumbled in making the transition to the new style Guardiola wanted to introduce. But a few games in, and the German giants became almost invincible. Within six months Bayern had won the UEFA Super Cup and FIFA World Club Cup. Their 23rd Bundesliga crown followed in March, seven weeks before the end of the 2013-14 season and featured an unbeaten streak of 53 matches. The Bavarians clinched their 10th League and Cup Double a few days later, and at the time of writing hold a massive 11 point lead at the half-way stage of the 2014-15 season. Guardiola has filled the big shoes and then some. The challenge for Bayern’s club management, as with every organisation, is to ensure that the succession pipeline – for players, coaches and administrators – continues to be managed to ensure ongoing success. Shortly after the publication of Part 1, Manchester United’s owners ran out of patience and terminated David Moyes’ 6-year contract. The man hand-picked by legendary boss Sir Alex Ferguson lasted only 9 months, and saw the Club experience its darkest days since being relegated in the 1973-74 season. Now it is up to Dutch mastermind Louis van Gaal, former coach of Ajax, Real Madrid, Bayern Munich and the Dutch National team, to restore the proud Club to winning ways.